Colored postcard image made of composite shots of water scenes along the Grand Traverse Bay shoreline. 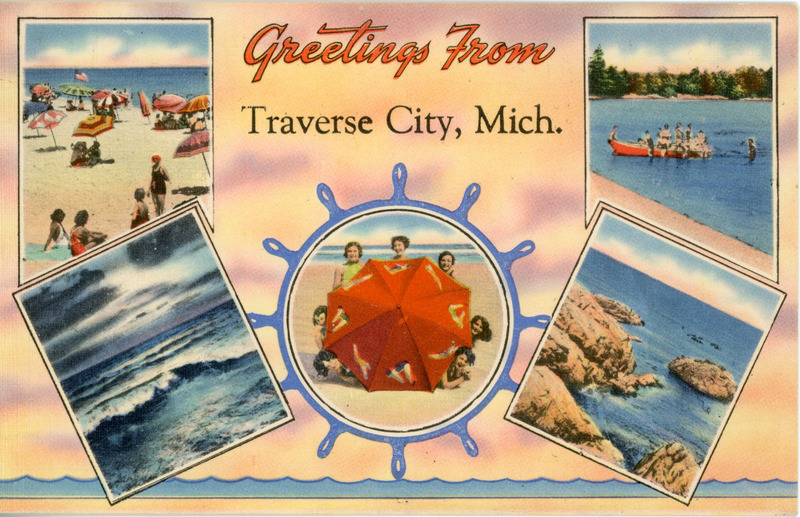 Unknown, “"Greetings from Traverse City," ca. 1950,” TADL Local History Collection, accessed April 21, 2019, https://localhistory.tadl.org/items/show/1968.